The Reader interfaces with printers, copiers, fax machines and other serial applications to allow patrons to be charged for the use of business machines. The 1500RF reads credit cards, store ‘gift cards’ and magnetic stripe stored value cards. All cards are authorized by the merchant’s credit card acquirer/processor within two seconds from when the card is read by the 1500 reader. The 1500 can form part of a complete Business Center Solution. The solution centralizes all charges for typical office equipment and PCs, using host software to broker the charges and the reader to perform the functionality at the office equipment side. Each reader has the ability to charge for multiple price lines, allowing administrators to differentiate between black and white and color copies, different paper sizes, as well as local and long distance faxes. 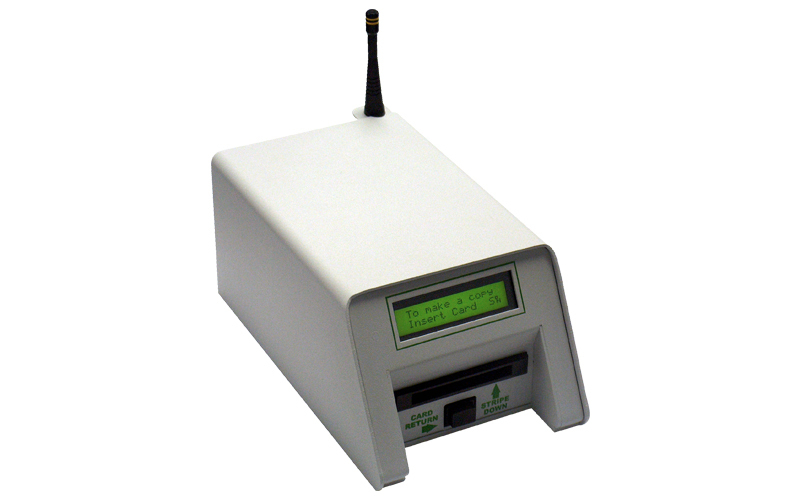 The 1500RF can suit any requirement in a self serve charge for use environment. ITC Systems is the leading supplier of cost recovery solutions for copy, print, fax, food service, vending and more. ITC Systems’ comprehensive solutions require minimal staff involvement, featuring unattended value loaders and automated tracking of transactions. With reliable hardware and user friendly software, ITC Systems creates custom tailored solutions to meet specific customer needs.